Dr. Jonathan R. Dungca participated in the 5th AUN/SEED-Net Regional Conference on Global environment with the theme “Toward a Sustainable ASEAN” on 21 and 22 November 2012 at the Aston Tropicana Hotel, Bandung , Indonesia. 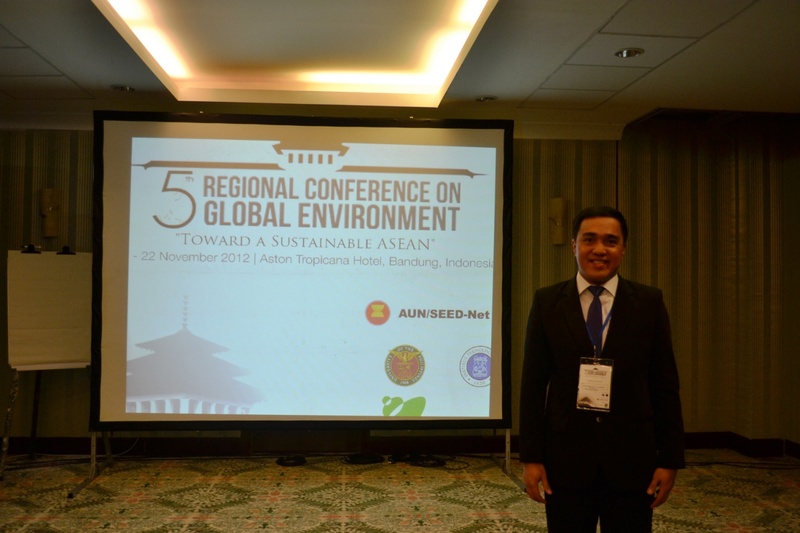 This conference was hosted by the Centre for Environmental Studies, Institut Teknologi Bandung. Dr. Dungca presented a paper entitled “Triaxial Shear Strength of Fly Ash and Bottom Ash as Structural Fill” in the Solid Waste Mangement Session. This paper was co-authored by his former civil engineering students: Janine Faustino, Jacquiline Misa, Rigel Napa and Daniel Jerome Ramos. Dr. Dungca also chaired the first session on air pollution. 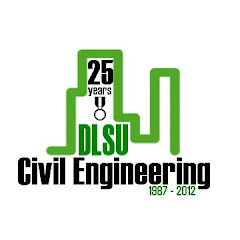 Congratulations to the new Lasallian Civil Engineers. 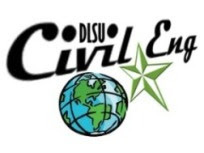 108 delegates coming from 49 Engineering schools here and abroad participated at the International Conference on Civil Engineering Education (ICCEE2012) organized by the Civil Engineering Department, DLSU, Manila held last Nov. 9-10, 2012 at the Br. Andrew Gonzalez Hall, DLSU, Manila. The 10th National CE Education Congress was also hosted by the CE Department in cooperation with the Association of CE Educators of the Philippines (ACEEP). The distribution of participants are as follows: Metro Manila (38), Luzon excl. 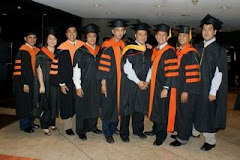 MM (33), Visayas (6), Mindanao (25) and Foreign Country (6). DLSU being the host has the most number of delegates (16) followed by Batangas State University with seven. One unique highlight of the conference is a keynote lecture delivered live from the USA by Dr. Amelito Enriquez of Cañada College, USA to illustrate how Information Technology (Elluminate) can be used in Engineering Education. Br. Ricky Laguda FSC welcomed the delegates while Dr. Ricardo Pama, chair of the Technical Panel on Engineering and Technology of CHED delivered the keynote speech. There were five keynote lectures delivered by distinguished professors from New Zealand, Japan and Thailand. Four plenary sessions were held for the preseantations of 20 papers on Outcomes-Based Education, Information and Computing Technology, Innovative Teaching and Curriculum and Research. Pre-conference activities were conducted in the morning of November 9, 2012. A seminar on CASEE101, a video showing on Civil Engineering and DLSU CE Laboratory tours were held for the benefit of the delegates. For more details about the program of activities, go to ICCEE2012 blogsite at http://iccee2012.blogspot.com.